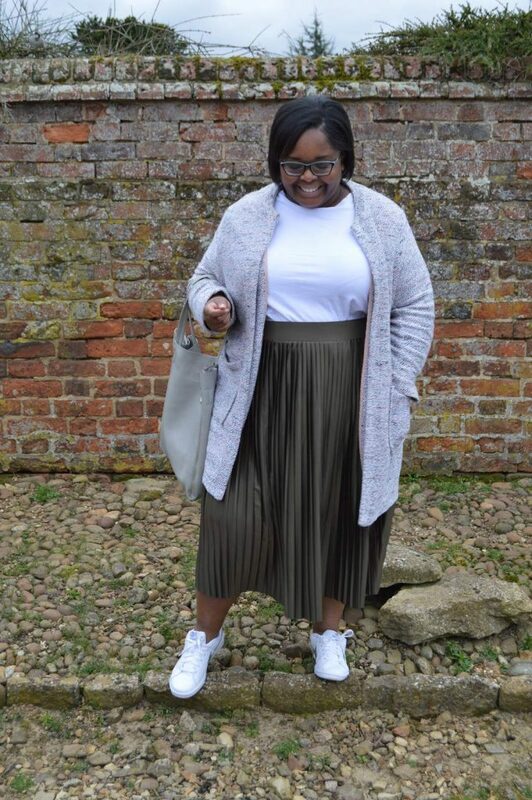 Meet Plus Size Blogger A Wheelbarrow Full of Style! Hope you enjoyed meeting up with Lottie L’Amour last week. 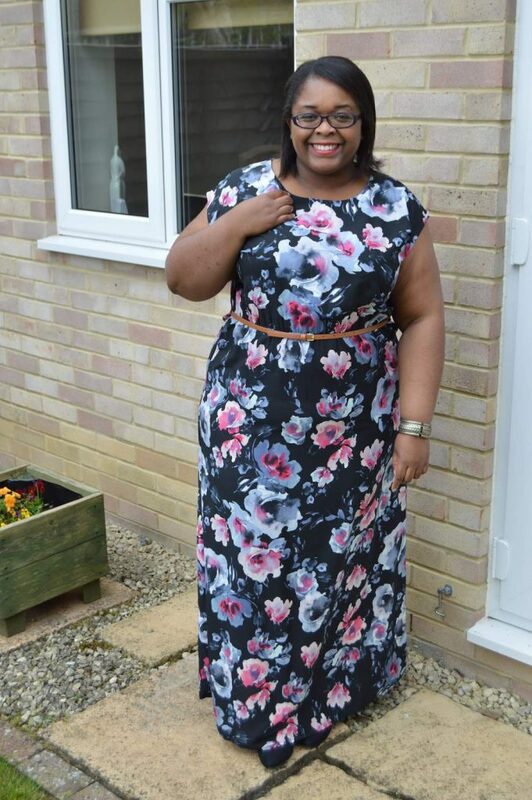 This week, we’re staying in the UK, getting to know a little more about Natalie of A Wheelbarrow Full of Style! Blogging for five years, Natalie features her classic, minimalist style and shares her love of the outdoors. Her approach to blogging is relatable and refreshingly honest, it’s like meeting up with a good friend. 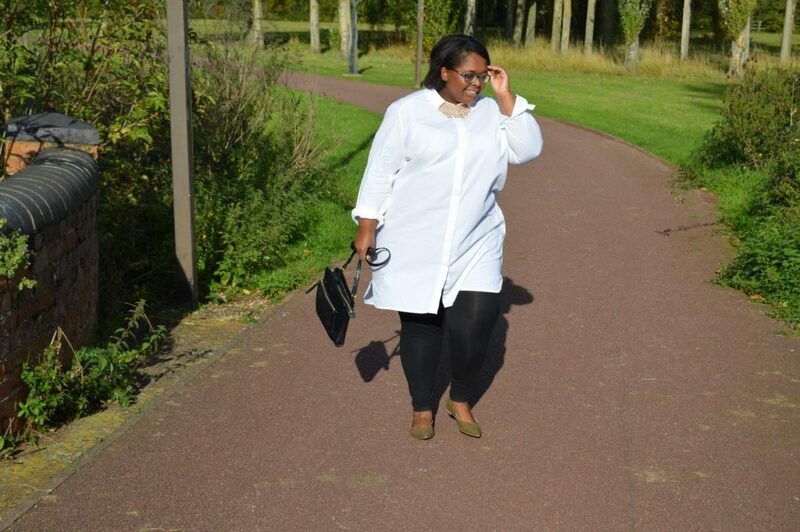 She is a plus size blogger YOU NEED TO KNOW! Meet Natalie of A Wheelbarrow Full of Style!!! I had been recovering from an operation when I discovered blogging. I was bed bound, and during that time I came across Tanesha from Girl With Curves whilst browsing online. 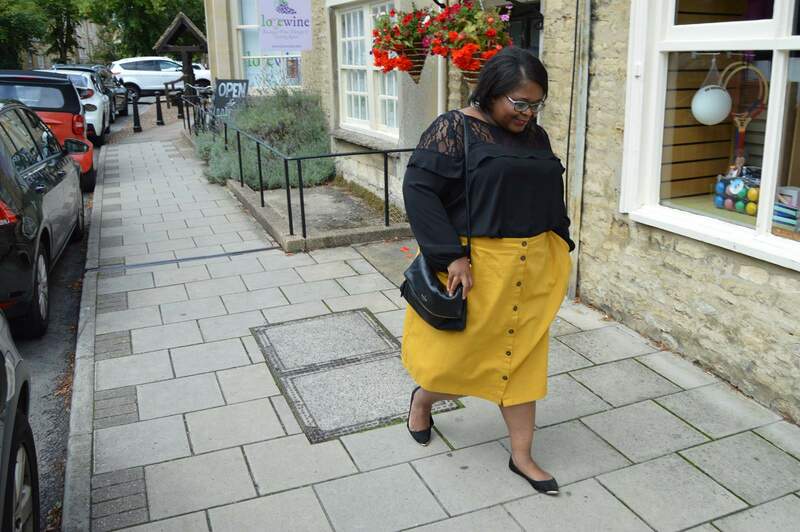 Seeing a plus size woman online writing about her style was enough to inspire me to start my own blog. I spent most of December 2012 planning. My blog name comes from a combination of my love of clothes and the outdoors! At the beginning of 2013, I uploaded my first post. I blog as a hobby, it has been the only hobby that I have continuously maintained. Knitting, sewing, painting and crafting – all of these I gave up after a few months or so, but, due to my love of fashion, this has been the hobby that has been a continuous part of my life for the last 5 years! 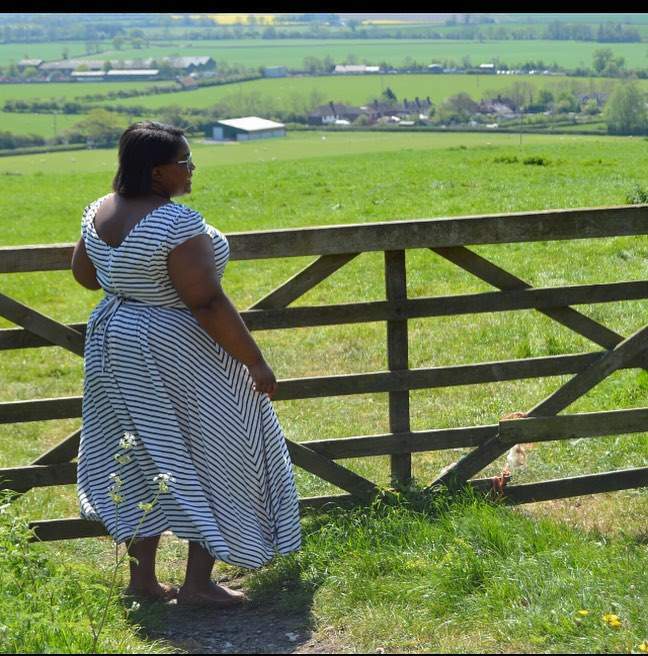 My blog originally started out as a lifestyle blog only, but now it’s mainly plus size fashion with the odd lifestyle post. The one area of my body that I disliked before I started blogging is now my favorite, my legs! I love wearing skirts now, long, short , I’ll give it a try. I cannot wait to get my summer skirts and shorts out [and] ready for the spring/summer. Jeans! I always struggle finding a pair that fit over my bum and thighs and that are the right length. I find that petite sizing doesn’t fit well over my hips, and regular sizes are always too long. I would love to find the perfect pair that I can just throw on at the weekend. The best thing about being plus size for me is how comfortable I feel in my own skin. It’s taken me a long time to get here but, now that I’m at this point, it’s a great feeling. I feel confident with my body and am proud of the journey that it has brought me on so far! My favorite thing about being a blogger is meeting other plus size women. Before I started blogging I didn’t really have many friends to share my perils of trying to find good-fitting fashion. 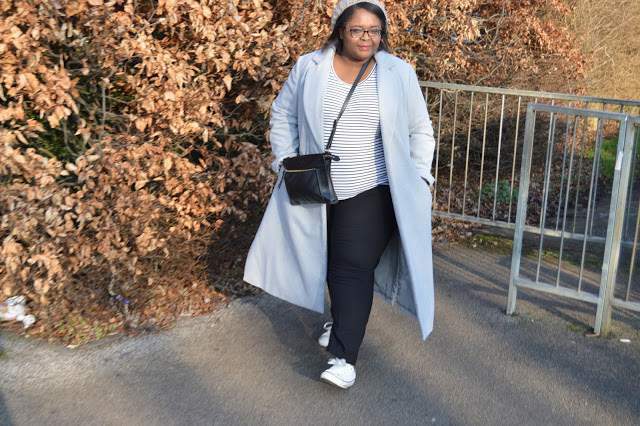 Now I’ve got so many other bloggers that I can get outfit inspiration from, it’s incredible. My favorite brand at the moment is ASOS. I would say that 70% to 80% of my wardrobe is made up of items from their website. If I need a last minute outfit, then that is the first place I head to. I rarely have to send anything back. I also like to shop at New Look, they do great work wear items, simple and stylish. I don’t really have one way in which I can describe my personal style as it tends to vary from one day to the next. Today I wore my favorite floral dress, but tomorrow I’m planning on wearing a more androgynous look. The way I feel definitely plays a huge factor in what I’m going to wear that day. 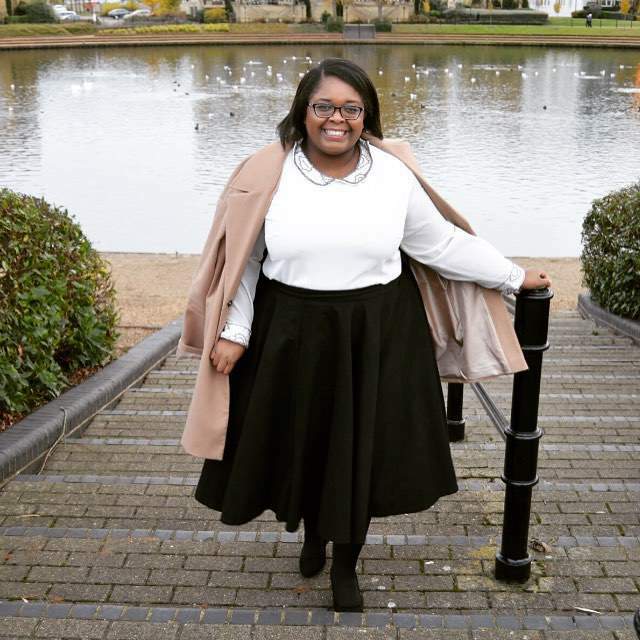 The bloggers that inspire me daily with their fashion choices are Danielle Vanier, Lizzy Hadfield of Shot From The Street, Tanesha from Girl with Curves, Hayet Rida, and Becky from Becky Barnes Blog. All of their individual styles have a huge influence on my style. I have an Instagram account, and you can also find me on Twitter. I’m also featured in Bethany Rutter’s PLUS book. Curvy,Confident and Chic to me means to love the body that you are in, wearing what makes you feel good, and most of all enjoying life by just being you! Check out Natalie’s blog at AWheelbarrowFullofStyle.com!!! How much fun is she? Her style is so much fun! Which looks were your fave?